I didn’t like it that Moo Gak just loses his temper and throws things around. 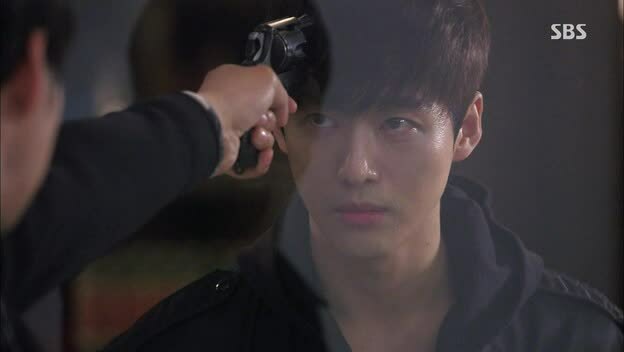 After the duo rushes in to stop Moo Gak from firing the gun into Kwon’s head, they hear the devastating news that Yeom has been kidnapped. Moo Gak dashes into his favourite spot (the cellar) but doesn’t find Yeom there. 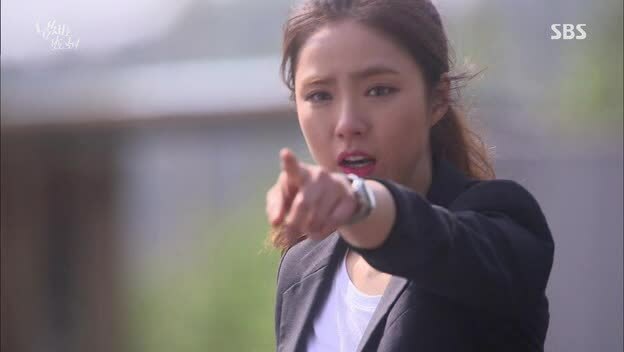 Cho Rim loses her cool and shouts for Kwon to tell her where Yeom is. Kwon sighs and looks disappointed, “I thought that we were close…I guess not. 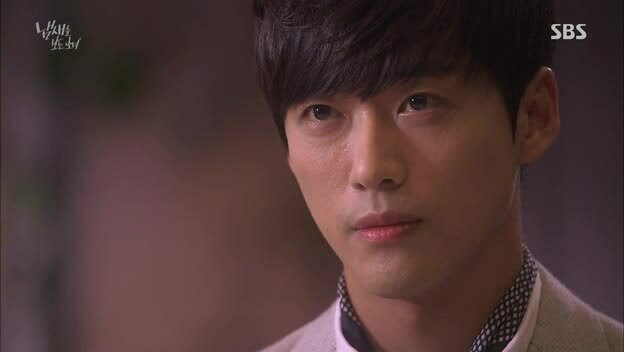 This puts me in a really bad mood.” Cho Rim cries that he can never be forgiven, and he smirks. Moo Gak enters the library and Yeom sees from the camera that Moo Gak is just right outside her room. She bangs on the wall and shrieks his name, but Moo Gak cannot hear her and leaves the library, much to Yeom’s despair. Sang Gil and Choong Do are very confused because they have been watching the front door and Kwon hasn’t left since they kept watch. 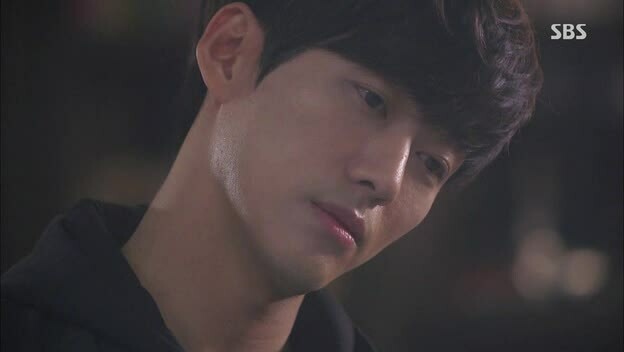 They sigh when they realise that Kwon will kill Yeom in six days. Moo Gak embarks on an ardous journey of finding Kwon culpable. He only manages to figure out how Kwon carried out his plans, but cannot find any evidence that shows Kwon’s act of crime. In the meanwhile, the duo continues watching over the house, while Cho Rim frets even in her sleep. On the third day of Yeom’s kidnapping, Kwon vets her autobiography and wants her to write more about her dream of becoming a cop. Yeom pretends to drop her pen and touches the perfume bottle which she wears around her neck. She clutches onto Kwon’s wrist and requests for a watch so that she can write more productively. Kwon shrugs her hand off and rejects her request. Sang Gil orders a cushion and toesocks, which are delivered to them while they sit in the car. While they rejoice over the small perks of life, Kwon knocks on their door and remarks that he will be back in four hours, “Don’t work too hard, rest comfortably.” Hahaha, although I’m beginning to be a leeetle bored with even the serial murderer at this point, his small infuriating comments dropped here and there are quite priceless. Cho Rim attends Kwon’s autograph session but Kwon is unable to recognise her, until he asks for her name and she takes off her shades, “Choi Eun Seol.” He calmly takes a book and signs for her. 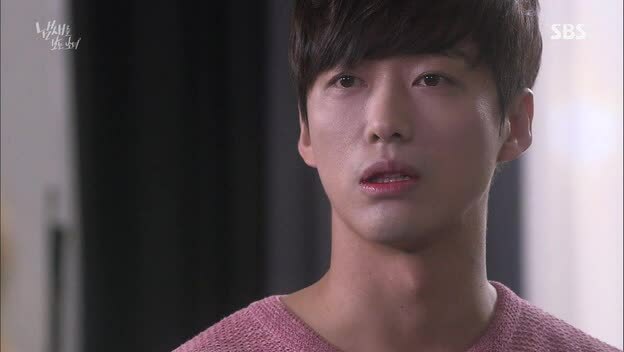 She warns him not to hurt Yeom and offers herself in exchange. He smiles and hands the book, with the message “See you again”, to her. Cho Rim’s eyes widen as she sees scents on Kwon’s wrist. 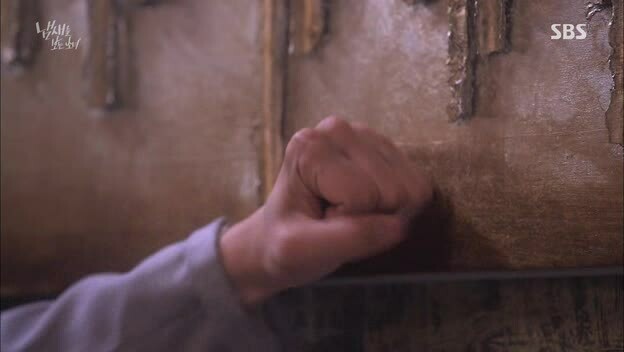 He grabs Cho Rim’s wrist and pulls her out. Ahhh Moo Gak you were a pretty fine lead to me initially, but somehow I just don’t really like you in this episode. You need to stop throwing your temper and throwing things as well. Is this what a detective does? No! 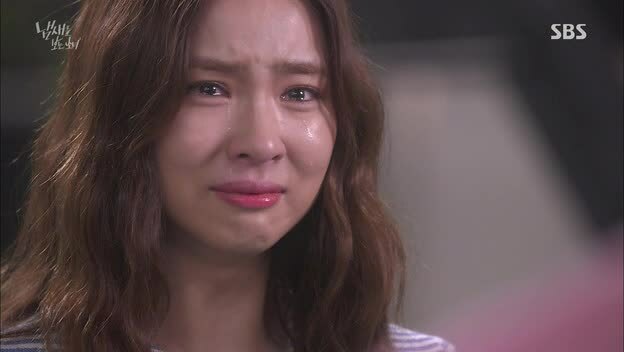 Moo Gak shouts at Cho Rim for daring to come here alone, and she starts to tear. Turns out that Yeom purposely leaves the scent of the perfume which Cho Rim has made for Yeom onto Kwon’s wrist, knowing that Cho Rim will see it. I must admit I didn’t really understand what was going on when Yeom touched her heart pendant. That was quite smart! Cho Rim sobs with guilt. Moo Gak pulls her into a hug, and starts tearing too. Kwon is amazed that Yeom drinks the coffee unsuspectingly and she replies that he is too curious to know about her dreams to kill her. 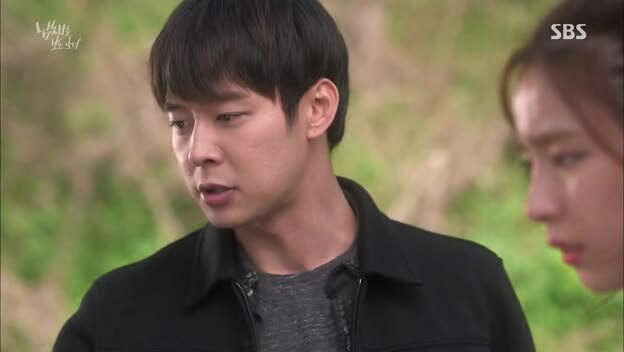 Yeom continues with her profiling, noticing that Kwon is trying to hide his justification for his murders by claiming that there is no reason. 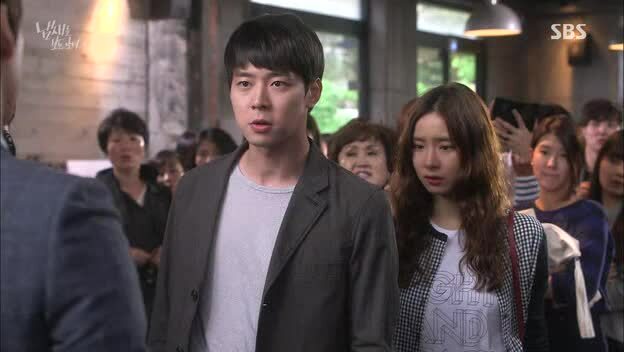 Cho Rim approaches Kwon at his restaurant and once again, makes the offer to exchange herself for Yeom. It turns out unfruitful because Kwon simply tells her to stop talking that way and return home. In reality, Kwon is quite moved by Cho Rim’s offer and tells Yeom that’s what friendship is like. 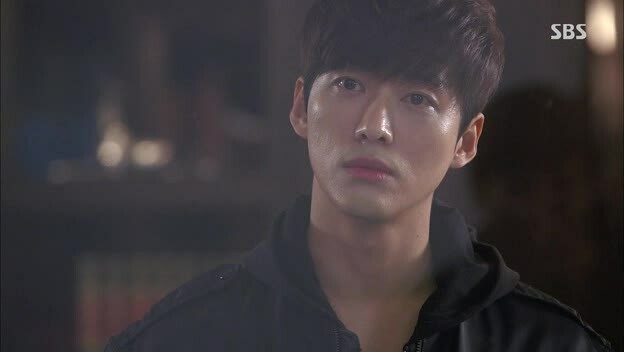 Yeom retorts that that is an emotion he will never understand.Turns out that Cho Rim’s second offer is planned and agreed upon by the detectives. They know that he will take Cho Rim’s offer because he wants Cho Rim, and wants to use this offer as a bait. Yeom later makes three accurate guesses and impresses Kwon – he does not have facial recognition disorder from the get go. It was only because he was abused he fears people, that his brain refuses to recognise people after that. When he has the desire to kill people, instead of that victim’s face, he chooses to see his or her life. Yeom provokes Kwon by saying that he’s delusional since he never had their lives before, and that he’s not interesting anymore. Kwon gives Yeom a quiz. If she guesses correctly, her life is extended by 3 hours. If not, it will be shortened by three hours. Just like that, Yeom’s life is shortened by three hours. Although she pretends to be fully composed, her facade drops the moment Kwon leaves the room. 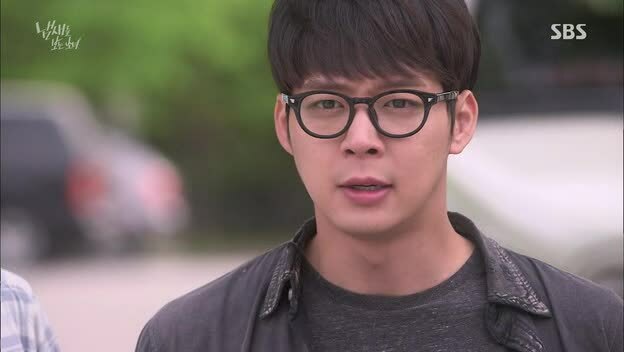 The detectives fret over how Kwon leaves by the front door and they are unable to locate the secret passage that he must have used to carry out his activities. Kwon takes up Cho Rim’s offer and tells her to meet him 10am the next day. The detectives’ plan is for Kwon to leave via the secret passage, for them to tag him with a scent so that Cho Rim can later lead them to his secret passage. With 20 hours left, Yeom wants to ask three questions. In return, she will give him another three hours of her life. 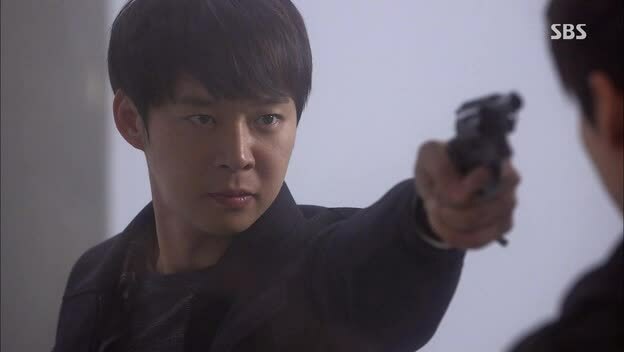 Kwon laughs, “Don’t you want your life?” but answers her questions anyway – he killed Doctor Chun because he found out that Kwon kills people. 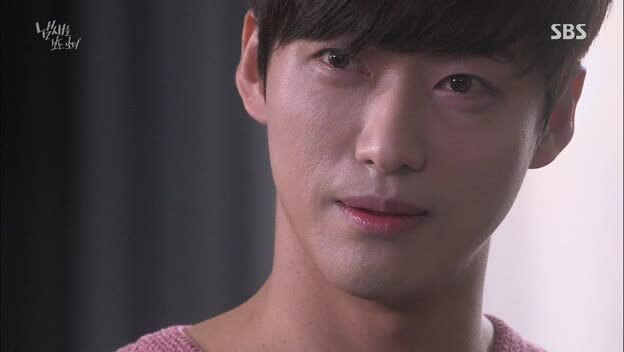 He hid Joo Ma Ri’s diary in the living room. “Why do you put barcodes on people?” “After they write me their autobiographies, they are empty shells. Just a notation…” Yeom follows up with another question, “Because you don’t recognise their faces?” Kwon does not answer and reminds her that she only has 17 hours left. When he leaves the room, Yeom clenches her fists together and shakes in fear. The next day, Cho Rim follows Kwon’s instructions and leaves her phone behind. She’s informed of the new planned time of murder and through her earpiece, Moo Gak receives the information and passes it along to the duo. After running to the first meeting point within half an hour, she receives no news from Kwon. The detectives have a slight panic attack when a huge van stops in front of Cho Rim and they cannot see what’s happening. Although that is just a red herring and no, Cho Rim did not get whisk away in a van, I thought that red herring also showed how stupid the detectives were. Did you guys not have a back-up plan in case Cho Rim really is forced into a van or car? 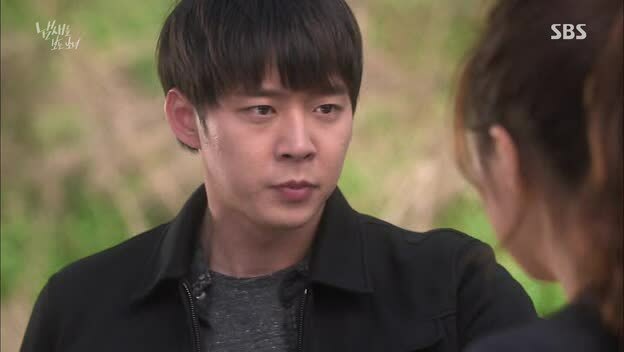 Anyway, rant aside, Kwon instructs Cho Rim to reach a park within 20 minutes. She arrives in time, albeit out of breath, and finds a container under a bench. Moo Gak is monitoring the situation nearby, and the duo waits somewhere else. Kwon watches her from his car and tells her to sniffs the handkerchief in the container. 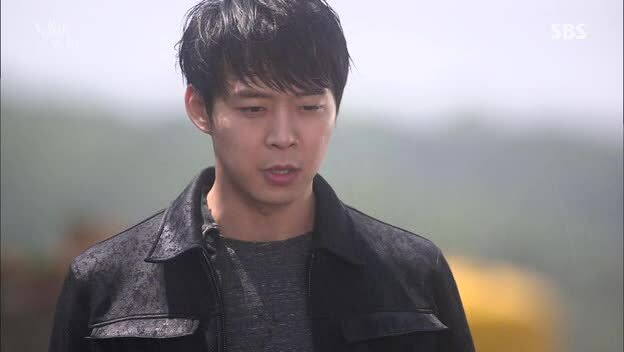 Cho Rim can see the scent and knows that this is the same scent on Doctor Chun’s body. Nevertheless, she presses the cloth to her nose and topples over almost immediately. Kwon leaves his car to get her, and the duo immediately hacks into his car. They place a GPS underneath his wheel and Choong Do pours some liquid all over the pedals. Okay this is really funny because this passer-by is actually the inspector from the Missing Persons department in disguise hehe. He kicks up such a fuss and makes so much noise that other joggers come along to help and Kwon has no choice but to leave. Yeom is distressed to hear that Cho Rim has even inhaled anesthetic gas but is relieved when Kwon mentions, “It’s my fault. I should have chosen a more secluded spot.” I do think (and I hope this isn’t me just poking holes in the story) that the usual Kwon would have been able to sniff out the police. Cho Rim wakes up and Moo Gak brings her off the ambulance. They track the Kwon’s car using the GPS and arrive at the right spot. Since Choong Do basically poured half a bottle of liquid (which is revealed to be deodorant) on the pedals, Cho Rim is able to pick out the scent really quickly and easily. The duo is delighted and excited at the thought of handcuffing Kwon, but lo and behold, it starts raining. 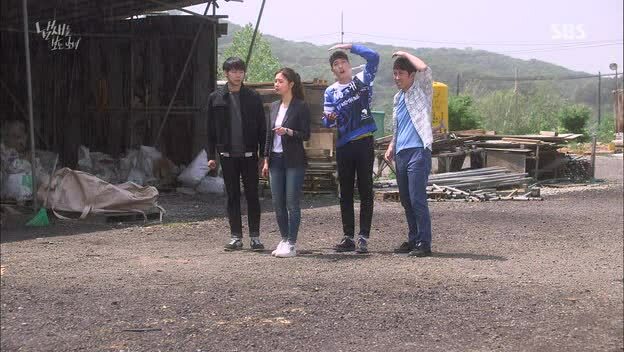 We all knew that the rain thing will come along since it is foreshadowed in the previous episode that Cho Rim is unable to see scents in the rain. Cho Rim tries very hard to see scents but they all fade away in the rain. Kwon is slightly disappointed and comments on Yeom’s short autobiography. Yeom intentionally provokes him by saying that it was difficult writing the stories she heard from others and movies she had watched. “Are you saying you wrote lies?” Yeom stares at him, “Why would I write my flaws and secrets there?” That’s really true. Their lives which no one else knows about, he is the one who read and felt and lived their lives. With less than two hours left, Kwon starts preparing his scalpels and printing the barcode for Yeom’s autobiography. Yeom tries to provoke him by saying that he’s really low and childish, but this time round, Kwon keeps calm and composed. The detectives and Cho Rim decide to hide from the rain at a random house/cafe and Moo Gak notices that the small girl in the house puts black paint on the white paper so that the white drawing will show up like white stars in the black sky. He’s somehow inspired by this (although I really do not see the direct link) and the detectives get help to scatter white fillings on the black road. Indeed, the scents start showing up again and Cho Rim leads them very quickly to the right hidden spot. 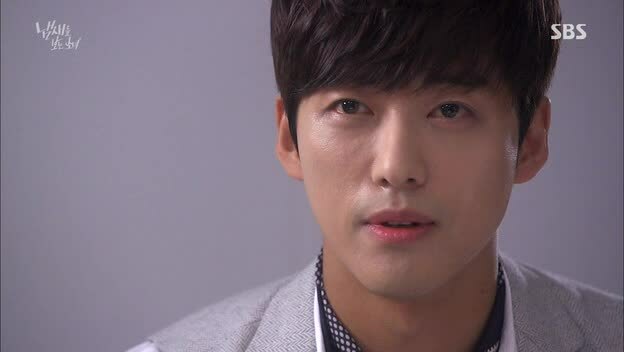 Moo Gak wants Cho Rim to hide from Kwon and Choong Do to find the reinforcement. 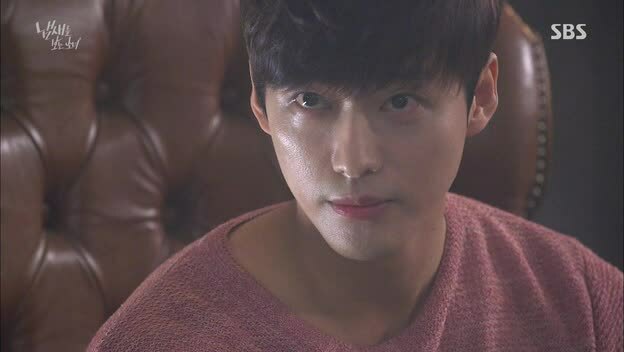 He and Sang Gil will enter first and find the secret passage way. In the meantime, Yeom tells Kwon that she will never forgive him for doing this to her and for doing this to humanity. He tells her that he doesn’t like touching bodies. Instead, there will be anesthetic gas released into the room through the air vents. In hospitals, people can breathe after inhaling the gas because they are hooked to the system. Here, she will be unable to breath by herself. The death will be painless. The time is now. He presses the button and the gas very quickly spreads through the room. Sang Gil and Moo Gak navigate through the secret passage, till they find the correct door (which has an electronic lock on it). 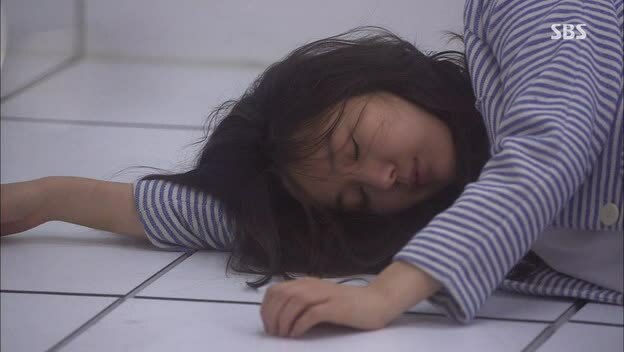 Yeom passes out almost immediately after sniffing the gas, but at this moment, Moo Gak breaks into the room. Kwon’s eyes widen in shock but when Moo Gak approaches the glass screen with his gun, Kwon places his head right at the barrel. I didn’t think that this episode is fantastic. I wasn’t shocked, scared or nervous at all. I was quite sure that they wouldn’t kill Yeom with two episodes left, but at the same time, I wasn’t sure if I would have been devastated if they had killed her anyway. Hmm. 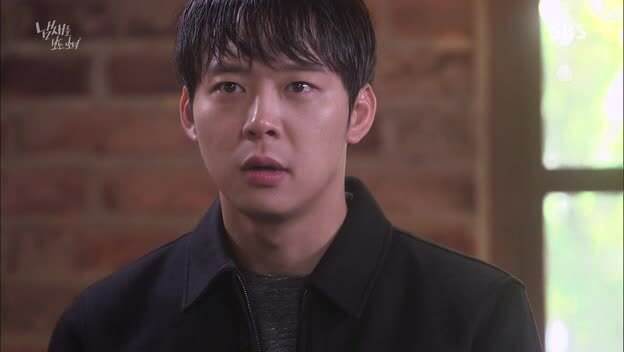 The only parts I really like about this episode was how clever Yeom was in leaving the scent on Kwon’s wrist, how amazing Nam Goong Min is acting out his various scenes (especially the scene when he tells Yeom not to pity her) and YooChun+ Shin Se Kyung’s acting when it started raining. Other than that, it feels like this episode really capitalises on the detectives’ incapability. Yes, I know that the Chief’s request for firearms/to break into Kwon’s house etc is denied since they do not have adequate evidence. But surely, the detectives are better equipped to solve situations like this? Surely, you don’t need to hinge 100% on a girl who can see smells. Also, Moo Gak’s attempts at getting testimonies seem rather juvenile and I felt like they might as well not spend time elaborating. 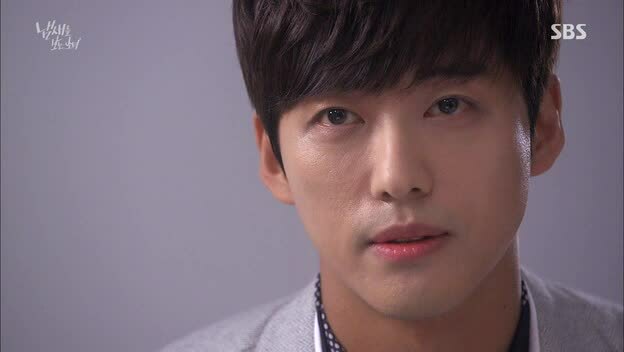 There isn’t much couple time in this episode as well, something which I felt was a plus point of the drama. I guess this episode is all about finding out why Kwon is the way he is, and I think that’s the purpose of having Yeom kidnapped instead of Cho Rim – because she’s the profiler and she knows what buttons to push. I just hope that the last two episodes will pick up the pace once again.